David Parsons is a New Zealand new age/ambient composer who began composing music in the 1960s; often with a darker edge than that of his contemporaries. 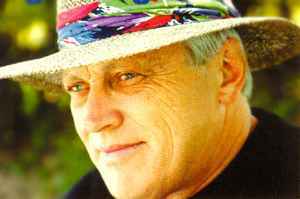 In 1989, Parsons began recording an extensive series of indigenous music sound documents in Egypt, Cambodia, Armenia, Vietnam, Indonesia, the Himalayas and other exotic locales. He continues to record and compose music in New Zealand (or Middle Earth, as he calls it).